Often, the Gospels strike me as simply wonderful. One example of this is how Luke begins his Gospel. Now, I’m not talking about the first 5 verses wherein Luke dedicates his Gospel to a person named Theophilus. Rather I’m talking about how he begins his narrative and thereby sets its tone. Luke begins with a priest named Zechariah (v.5). He begins with the man who would become the father of John the Baptist. He begins with a professional theologian who encounters Gabriel, an angel of the Lord, while working in the Temple. The angel tells this old priest that his barren wife, Elizabeth, will be found with child. This child will have the task of preparing the way of the Lord. 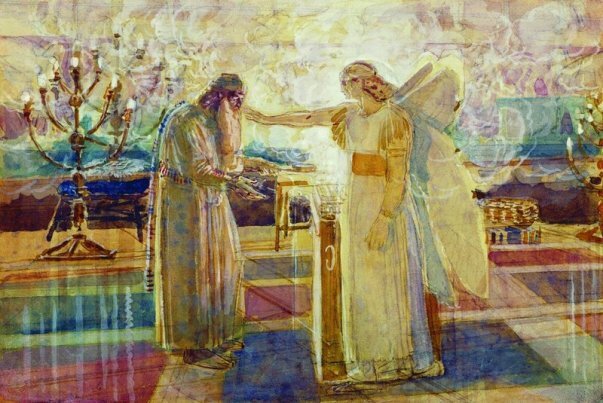 Upon hearing such news Zechariah responds skeptically with the infamous question that would get him into trouble, “how shall I know this?” Please bear in mind that this priest has heard of his God, Yahweh, doing such things before, from opening the womb of Sarah the wife of Abraham to opening the womb of Hannah the mother of Samuel. He should know better than to ask such a quizzical question. Zechariah’s God has opened the wombs of barren women before, his God has parted seas and delivered his people from the hands of their enemies time and time again. “How shall I know this?” is a poor reply especially when considering the source. Instead of the angel Gabriel explaining to Zechariah how this would be so, he silences him until the day that John is born because he did not believe these words. Ouch. Right after this Luke transitions to a city of Galilee named Nazareth where the angel Gabriel visits a virgin betrothed to a man named Joseph, her name is Mary. Let’s first begin with the fact that Mary has no status. She is a woman in a patriarchical culture, she’s young, probably around the age of 13, and she’s a peasant. By ancient standards she’s not the ideal candidate. 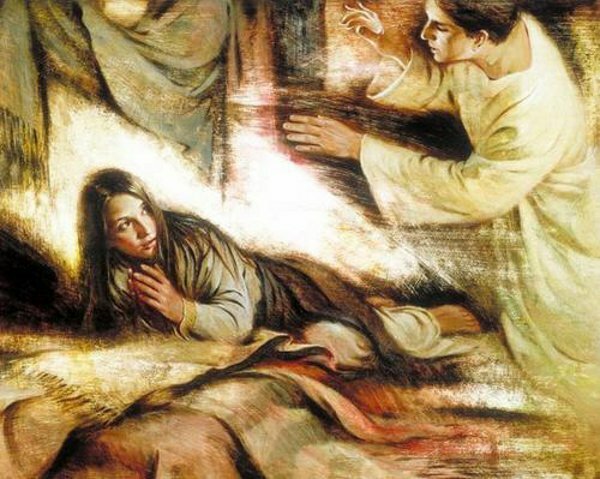 Yet Gabriel tells Mary that she will give birth to the Messiah and that she should name him Jesus. Mary responds to Gabriel by asking, “How will this be, since I am virgin?” This is different from Zechariah’s response. Mary knows the Lord can do it, she’s just wondering about how the Lord will go about doing such a thing. Luke sets a wonderful tone for his Gospel. It’s what some scholars call the great reversal theme found throughout it. Zechariah is first and foremost a male which was a big deal in ancient Palestine. There was a rabbinic prayer that thanked God for not being a woman. He was a priest who worked in the Temple, a status filled profession if there ever was one amongst the Jews, and he lived in Judah near Jerusalem, the center of religious life for Jews. It was where God was said to reside. Instead, though, the one who “gets it” was a female with no sort of life experience or status. She is from up north, in rural Galilee, residing in a peasant town known as Nazareth with a population of no more than few hundred people. It turns out the young peasant girl who is wet behind the ears knows better than the priest with years of life-experience. Thus, Luke sets the tone for his Gospel.